Here in the States we tend to fetishize brand new microbreweries, those scrappy little “Davids” intent on showing the aluminum Goliath mega-brews how it’s done. Not so in Germany, where some of the best beers come from breweries sporting centuries-old lineage. Take Paulaner Salvator, for example, which though currently half-owned by Heineken, bears Munich roots dating back to 1634. The company remains one of only six providers of oktoberfestbier for Germany’s fabled Oktoberfest. A trip to Munich is unnecessary, though; The brewery’s products are available in the U.S. via a Colorado-based distributor named Paulaner HP USA, which also distributes the New Orleans favorite, Dixie. Their Double Bock goes down like a treat, as well it should: The Paulaner Friars invented the doppelbock 400 years ago, and is actually the founding beer of Paulaner. This brew pours orange-brown and hazy—be careful with that pour or you’ll end up with more head than you know what to do with. Luckily, the head on this brew dissipates completely, leaving behind no lace on the glass. Carbonation is very light, too, which makes for a rather lifeless glass, but stick your snout in and the rich, yeasty smell of bread dough leaves no doubt that this doppelbock is alive and kicking. Taste is a combination of sweetness, malt, and alcohol, with very little aftertaste. 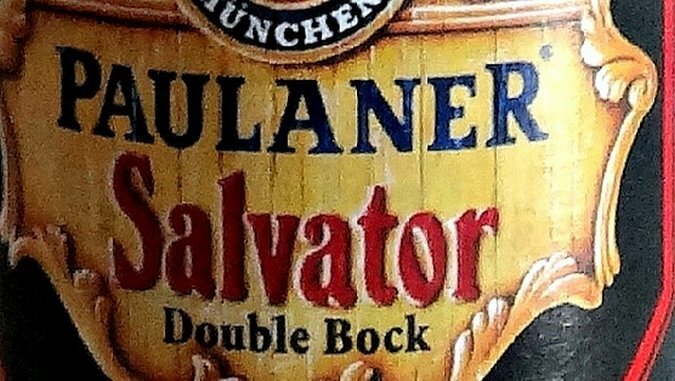 What’s the best way to enjoy a Paulaner Salvator Double Bock? Room temperature definitely; with a friend, probably; while wearing a Tyrolean hat, couldn’t hurt. Brewery: Paulaner Brewery (Paulaner Brauerei GmbH & Co. KG)? ?